Roald Dahl was a British author. He is best known for his children’s stories, many of which have come to be regarded as classics. He also wrote a number of short stories for adults which share certain characteristics with his juvenile literature. In particular, they include dark, sometimes macabre humor and tend to avoid sentimentalism. Dahl was born on September 13, 1916, in the Cardiff suburb of Llandaff. He was given his first name by his parents, who were Norwegian, in honor of the polar explorer Roald Amundsen. When he was three, he suffered a double bereavement. First, he endured the death of his older sister, Astrid. Then, only weeks later, his father died from pneumonia, although he was only in his late 50s. In obedience to her late husband’s wishes, Roald’s mother remained in the UK so that the boy could receive an education in the British school system. 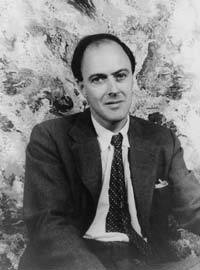 In 1942, Dahl published his first fiction in the form of a short story, Shot Down Over Libya. This was based on a real incident in which he had been accidentally deployed to no man’s land. He had been promoted to Wing Commander by the end of the war, and was then sent as Assistant Air Attaché to Washington. The highly regarded Saturday Evening Post published some more of his stories for adults, but in 1961, he published James and the Giant Peach. This, the first of his major children’s novels, was both a popular and a critical success, paving the way for a succession of similar titles. Perhaps Dahl’s biggest success was 1964’s Charlie and the Chocolate Factory, which he later adapted into a movie starring Gene Wilder. He followed this up six years later with Fantastic Mr. Fox, and by the 1980s his books were eagerly awaited by children in many countries. In the space of three years between 1980 and 1983, Dahl produced three classics: The Twits, The BFG, and The Witches. These stories were generally told from the perspective of the central child characters and most of the villains were adults. The Witches is notable for its lack of a “happy ending” in the conventional sense. Dahl’s Tales of the Unexpected collection of adult short stories was successfully adapted for television. In 1988, he published his last major work: Matilda, the story of a bookish girl who revolts against her Philistine family and then the terrifying headmistress of her school. He died in 1990 at his Buckinghamshire home. A museum dedicated to his memory stands in the nearby town of Great Missenden. His books are often seen as a partnership between himself as author and Quentin Blake, who provided highly distinctive illustrations for most of them.